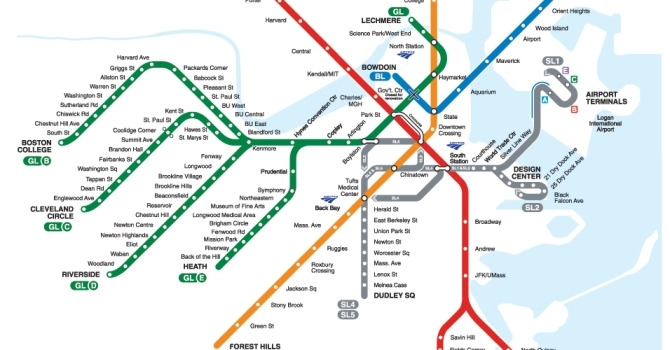 Our public transportation system, the MBTA, or “The T” to locals, connects all of Boston and its suburbs by subway, rail, bus, and even boat! 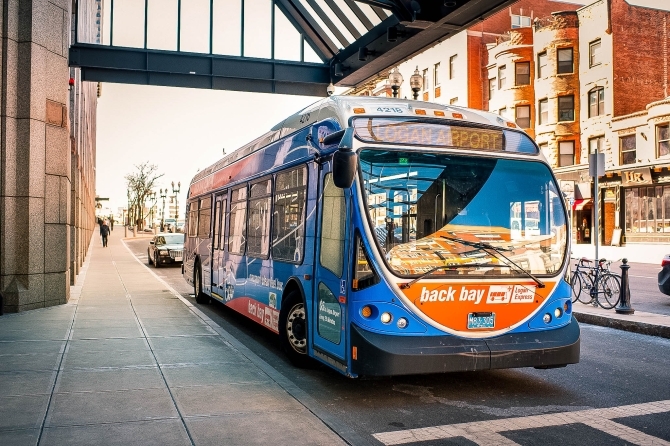 Whether you’re riding by taxi, Amtrak, or The T, our convention centers are conveniently located near several major hubs of public transportation. The BCEC is steps away from the MBTA’s Silver Line World Trade Center stop, which is the same line that services Logan Airport. Is it a nice day? 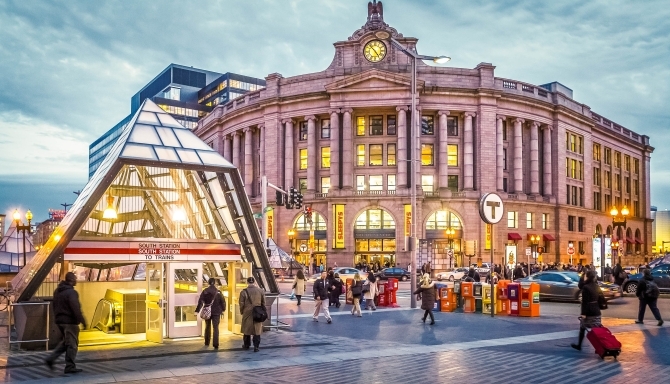 Take a 15-minute walk from South Station, which serves as one of Boston’s major transportation hubs, with MBTA bus and red line subway service, as well as commuter rail service to across New England, and Amtrak and bus service to many points across the country. 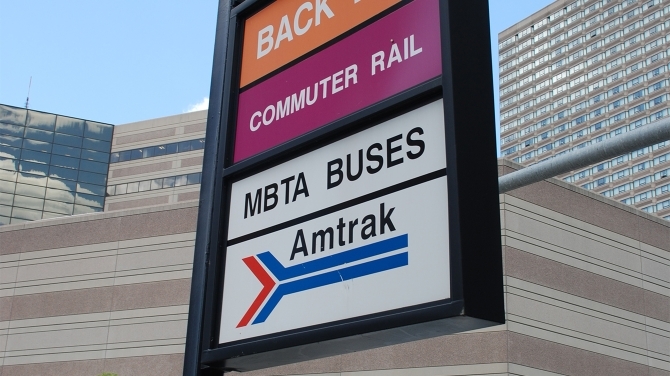 Boston is a major hub on the Amtrak Northeast corridor railroad system, and connects passengers to not only the rest of New England, but major cities along the entire east coast. Passengers can pick up Amtrak service in Boston at South Station, just minutes from the BCEC; at Back Bay Station, right down the street from the Hynes; or at North Station for Downeaster service from Brunswick, Maine. The Massachusetts Bay Transportation Authority has a nifty tool called “Trip Planner” that lets you plan your T ride from beginning to end. 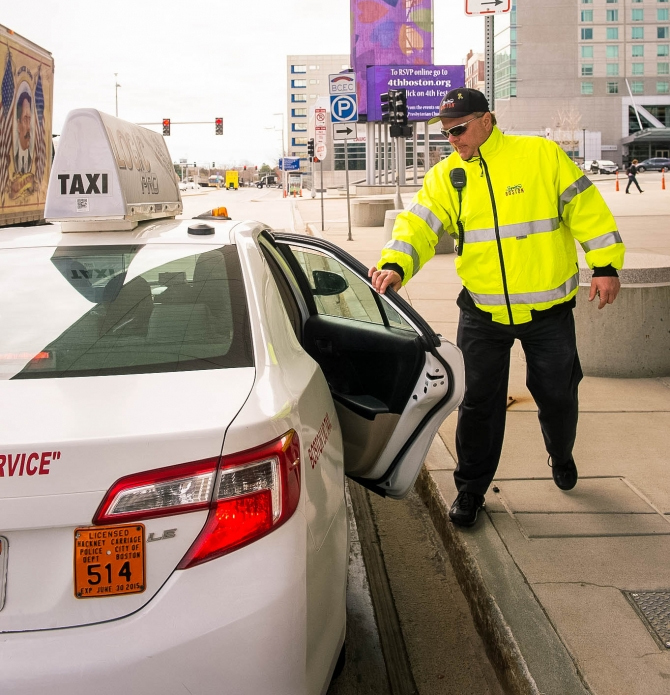 Simply enter in your starting location at the BCEC or Hynes (or wherever else you find yourself around Boston), and it will tell you where you need to go stop by stop to get here quickly and easily via subway or bus. Consider taking a pedicab as a fun and affordable way to explore Boston or get anywhere in the city. 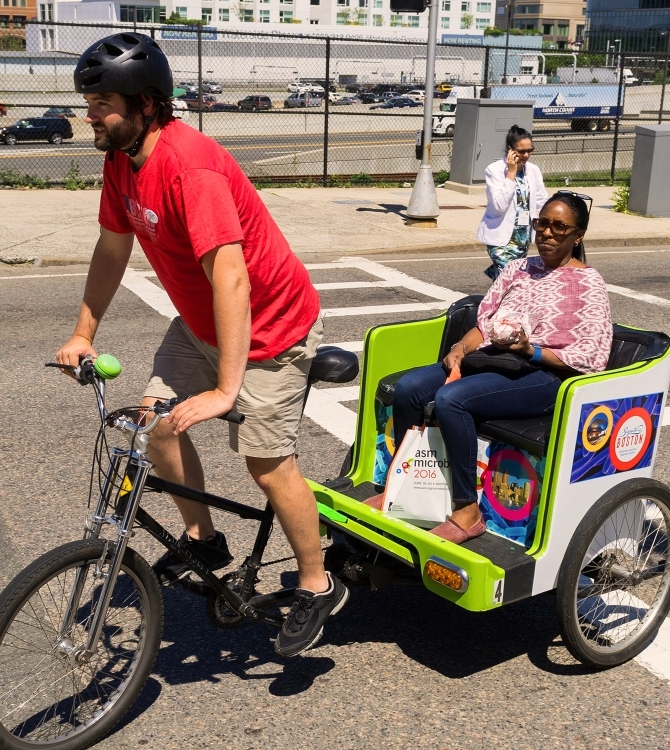 Boston Pedicab offers regular and pre-scheduled tours and rides at a flexible cost. Another great alternative to public transportation is Blue Bikes, Boston’s public bike-sharing system with 1,800 city bikes and 180 bike stations throughout the city, including stations directly outside the BCEC and the Hynes. Zipcar is the world’s largest car sharing service, giving you convenient access to vehicles located all over Boston, including many close to our convention facilities. Simply reserve cars by the hour or day, all for one low rate. Learn how to become a member, reserve a car and hit the road.